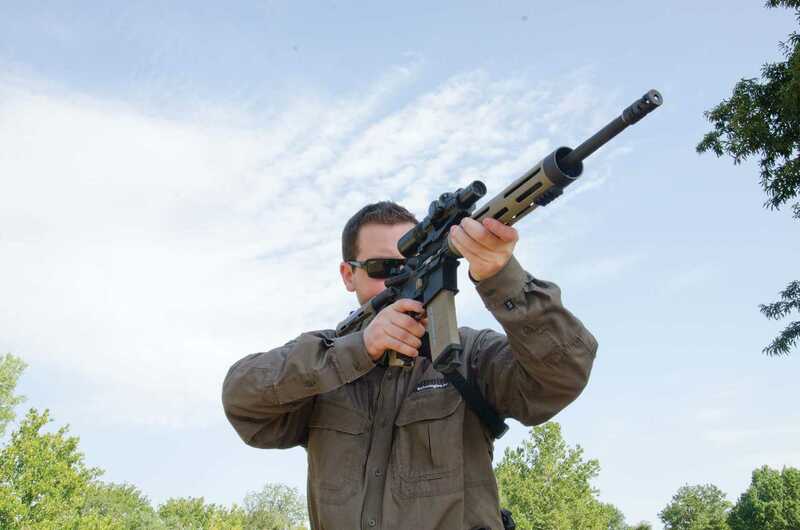 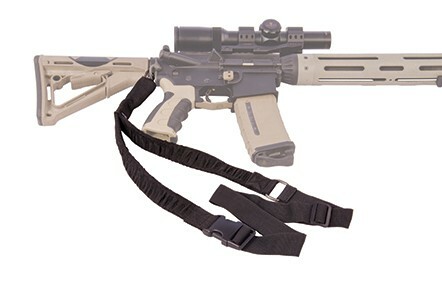 Single attachment point slings have quickly become the new standard for field carry of AR platform guns as well as many other firearms. 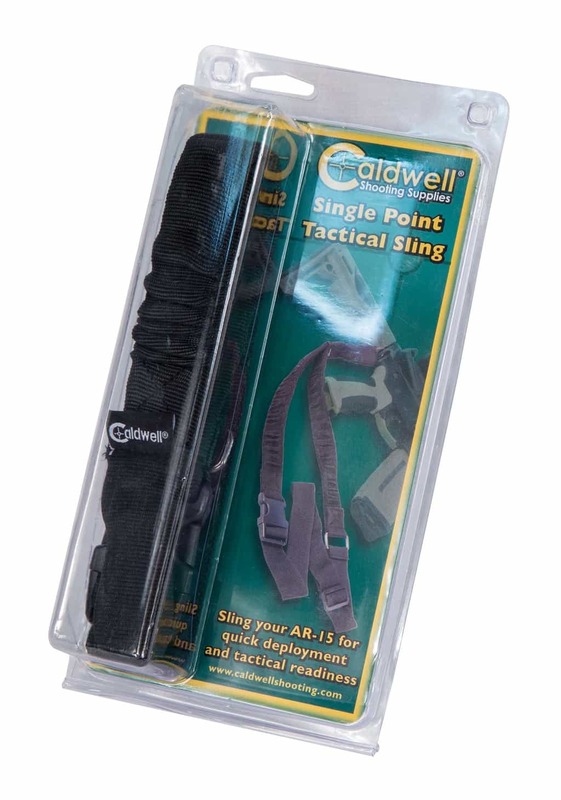 This heavy duty bungee sling easily attaches to the gun with its steel carabiner clip and the nylon strap with quick release buckle adjusts for length. 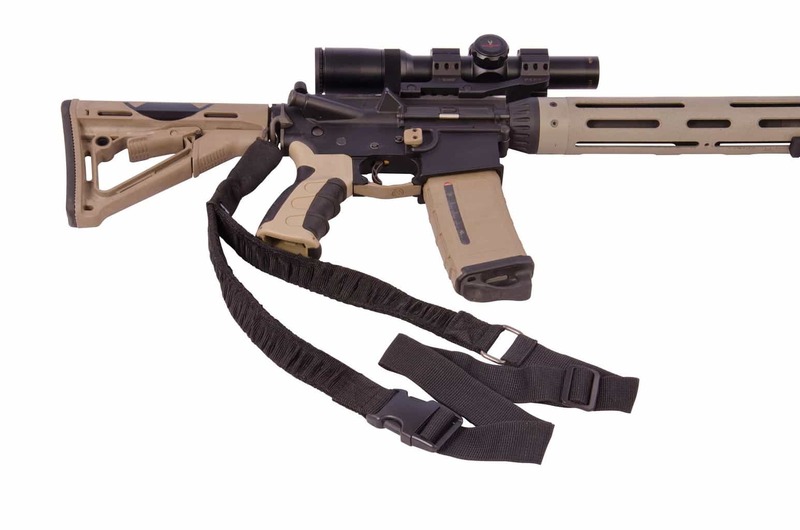 The gun is held in a safe and convenient muzzle down ready position.